Student productions are a main part of the Entertainment Studies program. As a result of this in-depth experience, below you will find useful information about what will be expected of you as you prepare for your production. 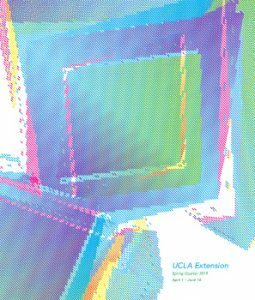 UCLA Extension does not own the content you make! As a result, you retain all rights to your intellectual property but you are required to fund your project and provide your own insurance while creating it. Note that insurance is mandatory for all student productions. Filming is allowed on the UCLA campus but permits are required to do so. Partner with our other talented entertainment studies certificate students for your production! Student productions are continuously crewing up for directors, actors, producers, cinematographers, script supervisors, film composers, editors, gaffers, grips, etc. Check out the UCLA Extension Entertainment Studies Find Your Crew page to view students’ work and contact students to collaborate on a project. Crewing up with UCLA Extension certificate students gives our students the opportunity to receive valuable hands-on experience in their chosen craft. If you would like to be added to the Find Your Crew page, please fill out the Find Your Crew form. We also maintain a collection of resumés for acting and crew positions, which provides independent producers and directors with a way to network with Entertainment Studies students. To further facilitate the crewing up process, all Entertainment Studies certificate students are invited to attend our Networking Events and Film Project Meetup Nights. Check the event page or contact the Entertainment Studies office at (310)825-9064 for more information on the next event! **If your class does not appear on the list but you are enrolled in an Entertainment Studies course, a copy of your transcript may assist you in obtaining various student film rates. Official transcripts can be requested via your “My Extension” account and unofficial transcripts can be printed from your account at any time. If you are enrolled in one of the above classes and want to obtain a film letter, please send us an email with your Name, Student Identification Number, Project Title and the names of any additional producers. A letter will be provided after the final refund deadline for your course has passed. As a UCLA Extension student, you are eligible to shoot your film projects on the UCLA campus. In order to obtain a film permit to shoot on campus, you need to visit the UCLA Events office. They are open Monday-Friday, 9am-5pm. You will need to provide your Film Letter from our office along with liability Film Insurance and a $65 film permit processing fee. More information can be found on the UCLA Events website. PLEASE NOTE: Filming is not allowed at the UCLA Extension Metro Centers: 1010 Westwood Blvd, Extension Lindbrook Center, Extension Gayley Center, and any other non-UCLA campus classroom location. Insurance is mandatory for all student productions. Liability film insurance can be found through various insurance brokers. We do not recommend a specific vendor. This must be obtained for nearly any aspect of film production: equipment rentals and film location permits, etc. Unfortunately, UCLA Extension does not have any available space for auditions, film editing space, or production locations. We also do not provide equipment for use or rent. Should you have any questions, please contact the Entertainment Studies office at (310) 825-9064 or entertainmentstudies@uclaextension.edu.